I am a planner fan…maybe more of a planner fanatic. I love, love, love, me a beautiful organizer! I know if you aren’t a planner fan like me, the thought of carrying around ANOTHER item can be a bit daunting. However, I really do think the pros outweigh the cons, and for me, it’s been the single habit that’s had the greatest effect on my ability to stay organized. Let’s just say, I’m a big planner advocate! A planner helps keep me on track. It helps me remember social events, appointments, routines and lists all in one place. I use my planner as a schedule book (of course), but also for my budget, as a journal, and as a way to set goals and keep me accountable. It’s sort of like a visual extension of all the little bits of data rolling around in my brain. I’m a pretty visual learner, so it really helps me to see my week written out. It helps me to get perspective on everything I have to do—plus, what pockets of free time I might have, so I can really relax and enjoy myself. A planner helps me feel more in control and less frazzled. I really do understand the feelings of, “Ugh, one more thing to carry around, write things down in, and keep track of (and possibly spill coffee on).” I get it. One of the ways to ease into the idea of using a planner is to take the pressure off—it doesn’t need to be a beautiful, visual masterpiece/keepsake. 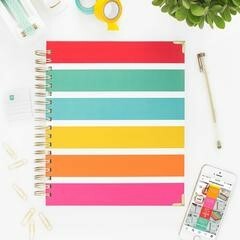 Don’t skim handmade or “bullet journals” on Pinterest and feel like you need some sort of major artistic talent or need to have crazy organizing skills to have the best life planner. You, too, can be a successful planner user! Instead, think of a planner as just a great tool, or an easy way to organize the bits of information in your brain and put them on paper. 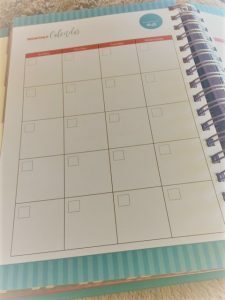 Unlike putting appointments in your phone/electronic calendar (which yes, I do as well, so my husband and I can keep track of what’s coming up), a planner gives you the ability to sort of “brain dump” everything out. 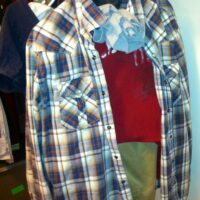 Then you have it all there in front of you to reference, remember, and to keep you organized! 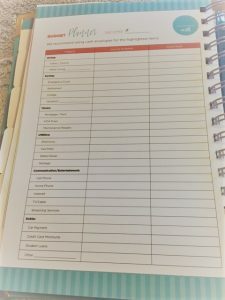 The other great thing about planners, for non-planner-nuts, is that there are so many options for great planners that already have the basic templates and tools set right up for you. You don’t have to make it pretty or come up with a system because it’s all built right in! Literally, you simply fill in the blanks, and there it will be—all those things running around your head, right on paper, already organized, ready to go! Are you convinced to give it a try yet? Planners can run the gamut from the very pricy (and beautiful—think customizable, stickers, gold foil, motivational quotes, etc.) to the cheap, free and DIY. There’s a bazillion options out there! Now, as a planner gal (ahem), I haven’t used them all (because literally: bazillion options, and I usually stick with just one planner a year). But I’ve done a lot of research. I’ve got a pretty good handle on what works for me and what I’ve found to be the best options out there for my goals. (You know, all those fun things like: Try to organize my house and life! Plan healthy/cheap meals! Stay on my budget! Tackle my work goals!) I’ve included some explanations and strengths on each of these planners, and which needs they’re best suited for. I’ve also included base prices, so you can compare. 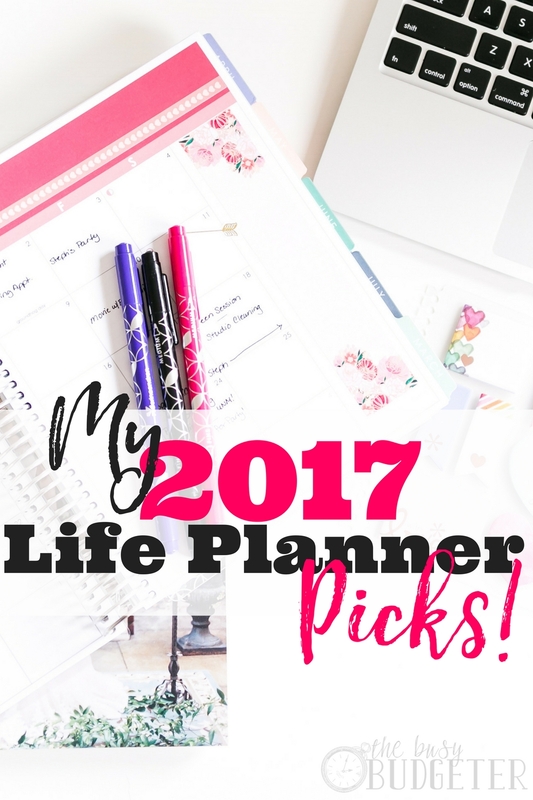 If you’re looking for the perfect planner, calendar, tool combo, this is it! 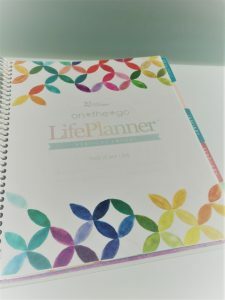 Once I went with the Living Well Planner, I’ll never go back (even though I was an Erin Condren junkie for years). 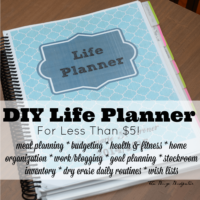 This planner literally has it all: it’s a great tool, it has areas for budgeting, goal setting, planning, and lists. Plus, it has the calendar component, room for notes, and it’s bright, cheery and just beautiful! Ruth really knows what she’s doing when it comes to this stuff. 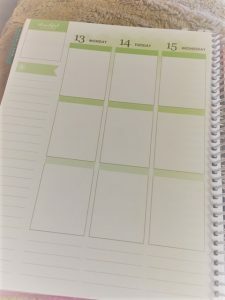 She managed to figure out exactly what busy moms need in a planner, and then put it all together so we can get a handle on things. Not only that, but she has a whole program on how to use the planner as effectively as possible! When you buy the Living Well Planner, you get access to “Crushing It Central” which can help you set goals and maximize your output. It’s pretty amazing. 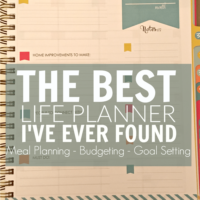 So you basically get the budget planner, the calendar, all the tools, the lists, the stickers, AND an entire course on how to use it and be awesome at it for the same price as other planners ($55). It’s an incredible deal and makes it so easy for everyone! This is seriously the best planner I’ve found, and that I’ve ever used. You can read my full, in-depth review here. I can’t say enough great things about it. It’s bright and cheery—even the colors are so motivating, summery and happy that I love looking at it. The layout is simple and clean, and everything is really sturdy and reinforced. The binding is spiral and solid, and I can attest that it really holds up. 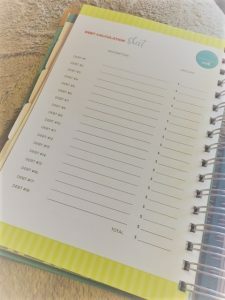 If you’re going to buy a planner and you want something that’s a total system to really get organized, meet your goals and keep you on track, this planner does it all. This planner comes in at the same price ($55) and has a strong financial focus. 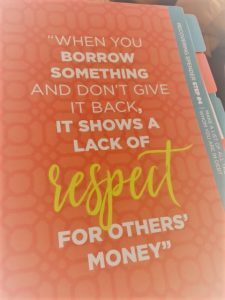 You don’t get the customization or graphics that you get with the Erin Condren planner, but the Personal Finance Planner is more of a tool/workbook than just a simple calendar. It’s chockfull of budget trackers, goal-setting tools, and planning tips and advice. The Personal Finance Planner has a password log, notes and debt calculation sheets. It’s broken down by month, and each month you set your goals, and focus for debt reduction. There’s a shopping list, an inventory, and customizable weekly and monthly calendars (so you don’t have to start using the planner in January, which is nice). Each month includes a bill scheduler and a budget-planning tool. If your budget and income don’t change drastically from month-to-month, there might be some redundancy as you enter the information every month—but doing so can be a helpful way to revisit where you’re going. The binding is spiral and pretty substantial, and there are metal corner reinforcements on the covers to add a little bling. If you’re really looking for a fancy ledger/budget book, this is a nice way to keep track of your finances. The tabs are cardboard, so they can get a little bent up and the binding on the paper isn’t reinforced. There’s a small pocket on the back and front cover, but it’s made of paper, so it could be prone to tearing. If you’re a rough and tumble planner user, take care! This planner comes with envelopes for budgeting if you use an envelope system. There are stickers to customize your tabs and dates, and motivational sayings and advice throughout. 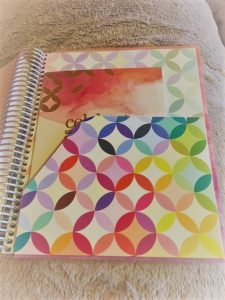 The great thing about Erin Condren’s Life Planner is that it’s really beautiful and very customizable, as far as graphics and design go. You can choose your cover, and add photos, personalize it with initials and change it up in many ways—including the layout and orientation. 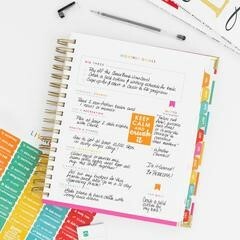 The Condren planner has a great “snap in” ruler/page marker, plus you can get re-writeable accessories like a meal planner and a party planning tool. They offer pouches (which don’t snap in) that you can slide in to hold your stickers and accessories. There are a few pockets in the back, which can be used to hold papers, receipts and more, although they are a bit shallow, so paper might fall out (beware). You can also purchase a ton of stickers (which are my favorite part)! 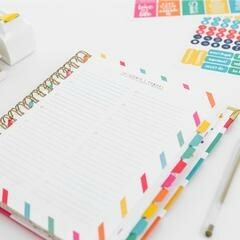 I love the variety of stickers because you can use them to personalize dates, mark events and goals, and more. The tabs are a nice, coated cardstock, and the paper binding is reinforced so it can be held with the spiral. It happens to be my pet peeve when those little paper schnibbles tear out of the spiral binding, so the reinforcement is a nice touch. As far as planning tools go, this is a pretty basic, straight-up day planner. It’s basically a big calendar with spaces for notes and daily events. If you lean more toward using a planner as a journal or diary, this could fit your style. There is a monthly calendar overview, and then each week is broken down further. There’s also plenty of room for notes and another small pocket planner for contacts and more notes. 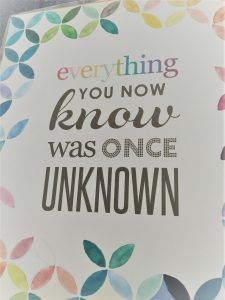 There are cute motivational quotes throughout the planner and it’s definitely got a great aesthetic! It’s a nice transition if you’re used to using a notebook or a classic pocket calendar. Okay, so I know not everyone is ready to drop $55 on a planner. Guess what? 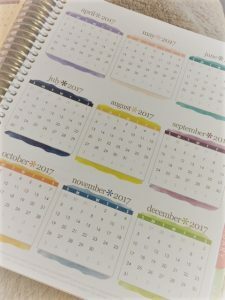 If you’re willing to do a little legwork, spend some time printing, and haul it to the store for some laminating and binding—you can make your own planner for around $5! Are you guys ready to read what a planner nerd I am?!? 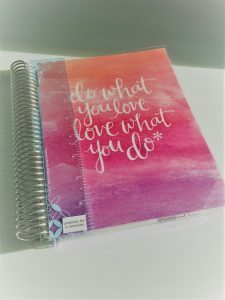 A few years ago, when I longed for an Erin Condren Planner (before I discovered the Living Well Planner), I decided that “forget it” I was going to put on my creativity pants and make my own! I went through every blogging resource I could find. I downloaded a free household planner from the Confident Mom. I added tabs for meal planning with freezer meal recipes and information. I kept a book list of things I wanted to remember to check out from the library by printing off my list on Goodreads. I printed out a budget planner and calendars, and did a bunch of two-sided printing. I took the whole thing down to Kinko’s and had them bind it and laminate the cover—and voila! I had my own binder planner for less than $5. I even used some tabs I had on hand to make it customizable. I used the whole planner for two years and it worked pretty well! It wasn’t as pretty as the other planners and the pages weren’t reinforced. The binding wasn’t great, either. There weren’t adorable stickers to match and it wasn’t as motivating to use…BUT it was definitely useable and suited my needs. It took a lot of work on the front end to put together. 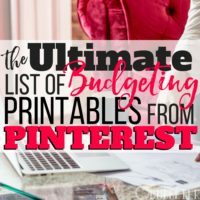 I’ve listed all my resources in this post, so you can try it out yourself if you’re feeling creative or if you just can’t bring yourself to spend money on a planner. Using a planner doesn’t have to be stressful. It really can work for anyone. 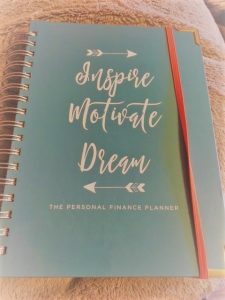 Overall, my final recommendation for best life planner is the Living Well Planner because I also feel like, if you drop the money on a planning system, you’ll be committed to using it—and this system gives you the greatest opportunity for success. Whatever you decide to do, I think you’ll find that using a planner gives you a motivating way to set goals and to reach them. Have you found your best life planner and don't see it on this list? Let me know in the comments what planners and systems you use, and what works best for you! 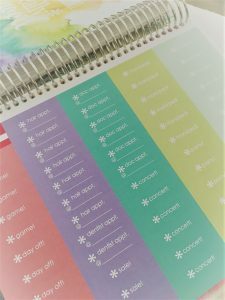 I finally worked up the nerve to purchase the Erin Condren planner this year, too. And I love it! Last year, I used the Commit30 planner. While I loved the concept, I didn’t quite work out for me. Most of the time we could get overwhelmed on what kind of planner to choose since there are tons. Love all your choices, though.